We found this amazing stripe ticking in Amish country in Pennsylvania. It is in amazing condition! 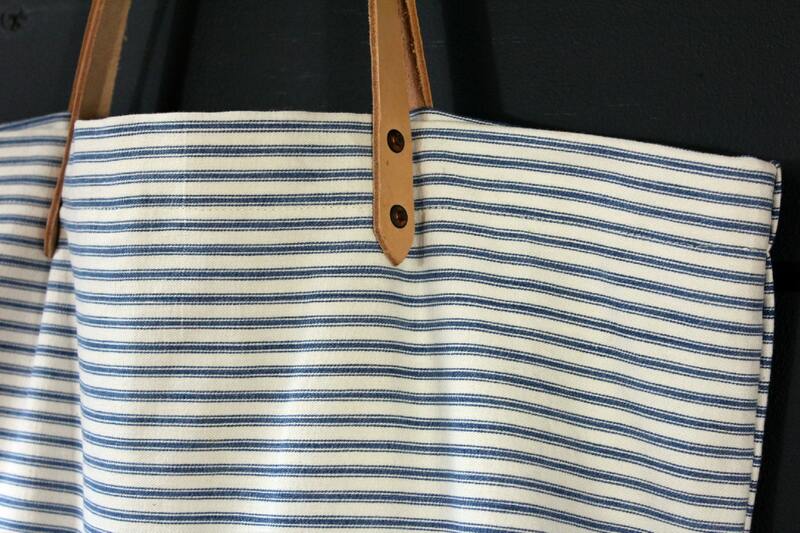 The stripe is the most beautiful shade of blue that is a classic homespun look. 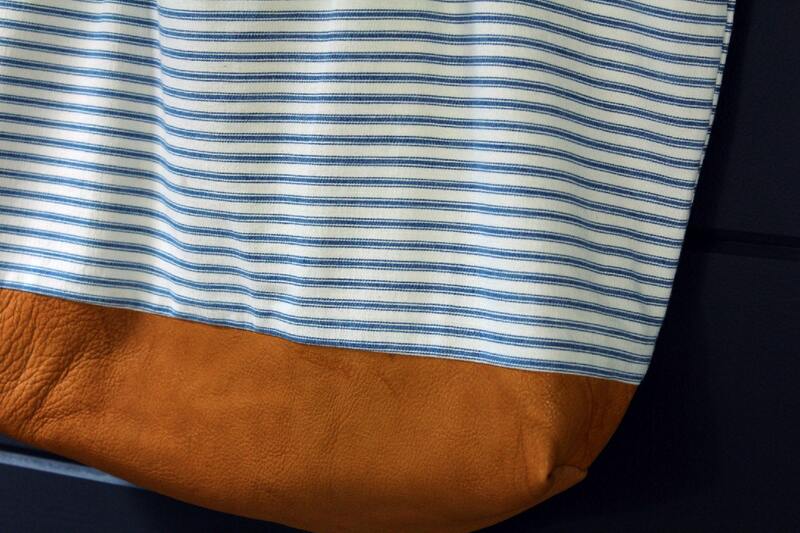 We reinforced the bottom of the bag with a really soft authentic deerskin hide that is from the Hudson Valley area. 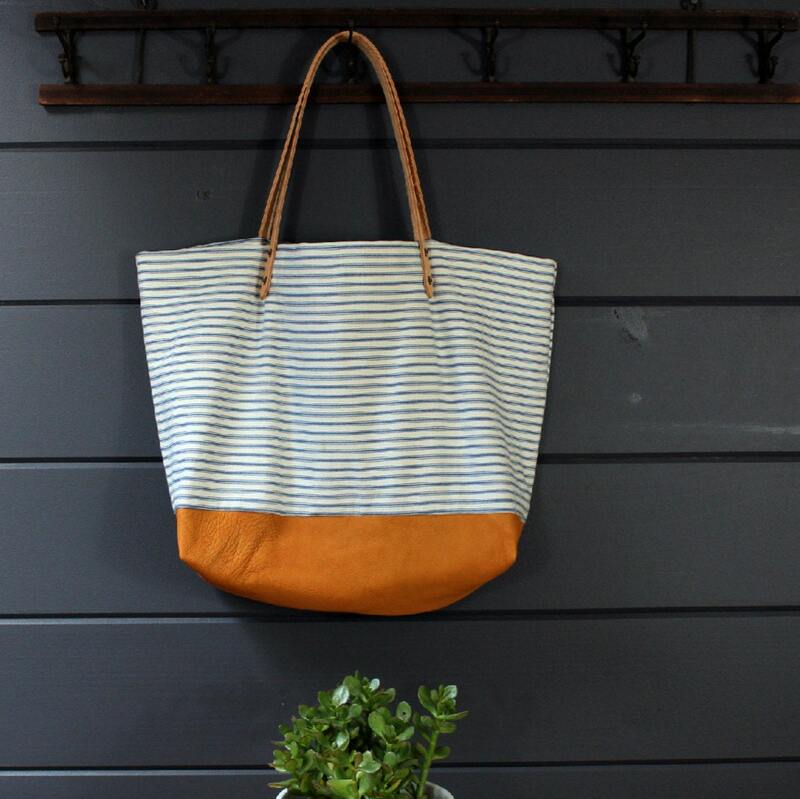 The bag is fully lined with natural cotton canvas. Shoulder straps are made from 8oz. natural tanned heavy leather and secured with solid hand hammered copper rivets. 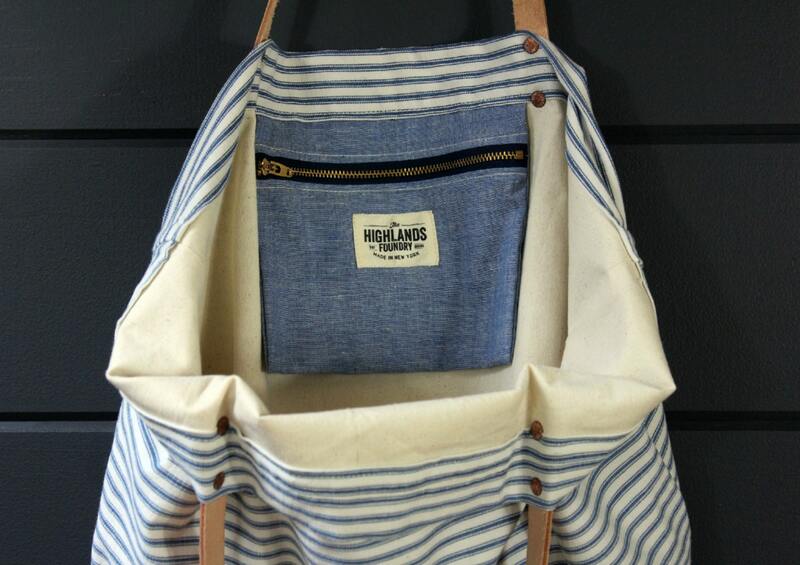 There is an interior pocket with a zipper closure made from a blue chambray cloth.